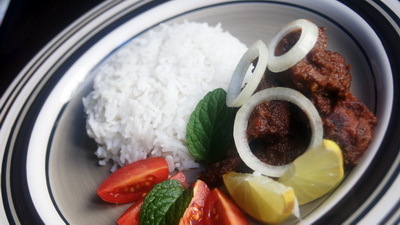 In Bangladesh if somebody wants to even think about rich food, it will go like korma, polau (pilaf), kalia in this order. I know all of us know how to cook kalia so Methi kalia will be bit different and interesting recipe for us. Methi / fenugreek seeds has very unique flavour but don’t use too much of it which will turn your dish bitter. The recipe actually is for mutton. If you make with beef, use less ginger paste. 1. 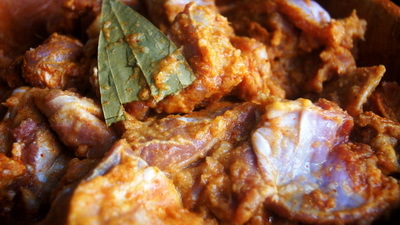 Marinate meat with all spices (except onion sliced), 2 tablespoon oil and salt. Let it sits for at least half an hour. 2. Heat the pan with rest oil and fry the sliced onion till it becomes golden brown. 3. 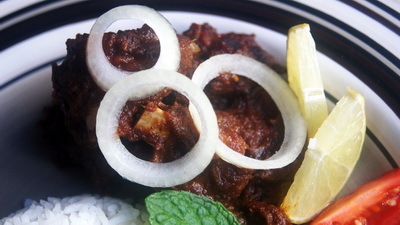 When onion is ready, add marinated meat and cook it till it becomes dry. 4. Stir well and add ½ cup of water. Cook again under closed lid. 5. Repeat this process (stir well and add ½ cup of water and cook again under closed lid) till meat becomes tender. For me it takes about 8 times to add water to cook the meat. 6. Check the salt and turn off the heat. 7. Methi kalia / Spicy fenugreek meat is ready to serve with roti, paratha, naan or rice. 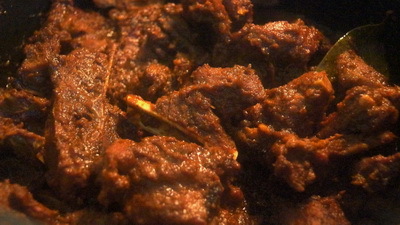 I downloaded a recipe for ‘methi beef’ almost 15 years ago and asked my mother to prepare it. My entire family was very pleased with this new and exotic flavour. I’m now attempting to remake this lovely dish and came across your post. I have a question about the ‘fenugreek seed paste’. Can you please elaborate on how to prepare this paste? Hi! 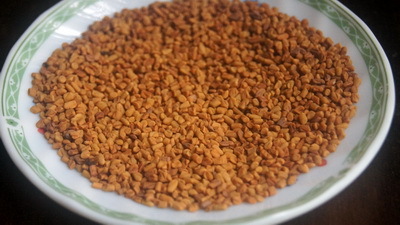 Soak Fenugreek seeds(methi) in water for at least hour and use shil-pata or grinder. If you dont soak it, it will very to make paste. Hope it will help and thanks a lot for wonderfully question. Nice to read your post. I was looking for methi kaliya recipe. Thank you.